His primary practice is in the area of bankruptcy, reorganization and creditors’ rights. 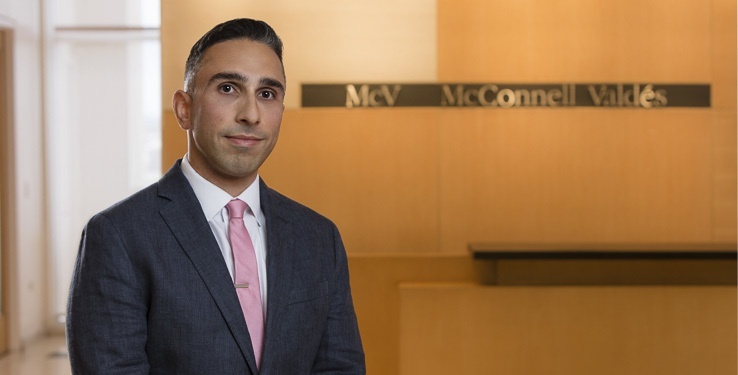 He has extensive experience in the field and has represented local banks, among other secured and unsecured creditors, in a wide array of bankruptcy and collection litigation. He is a member of the firm’s PROMESA Task Force. He also represents clients in securities arbitration cases before the Financial Industry Regulatory Authority. Mr. Zouairabani-Trinidad has been involved in the preparation, structuring and execution of different debt work-outs, forbearance and re-payment agreements with major debtors in Puerto Rico. He is experienced in collection and foreclosure actions pertaining to unsecured and secured debts for commercial, personal and mortgage loans, and has represented secured creditors and purchasers in the free and clear sale of assets and/or businesses in Bankruptcy Courts. He has defended different type of creditors before the State Courts, District Courts and Bankruptcy Courts in the protection and pursuit of their interests, including relief from stay actions, violation of automatic stay issues, cash collateral litigation, objections to plans of reorganization, conversion or dismissal of bankruptcy proceedings, defense against litigious credit redemption claims, defense against stripping of liens, defense against claims under the Fair Debt Collection Practices Act and the Real Estate Settlement Procedures Act, among other related lender liability controversies. Mr. Zouairabani-Trinidad has also been engaged in civil commercial litigation in both federal and state courts. As part of his civil litigation work, he has been defendant's attorney in contracts and tort cases, including products liability controversies and municipal contracting controversies, he has been involved in RICO disputes, litigation involving the Agricultural Credit Act and the Farm Credit System, as well as other federal causes of actions. Successful representation of purchaser of the IHOP restaurants in the case of In re Cousins International Food Corp., Case No. 12-08567 (MCF).